"Tired of the every day routine? Ever dream of a life of romantic adventure? 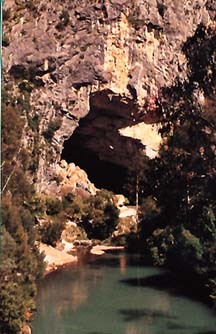 We offer you - Escape"
The Jenolan Caves outside of Sydney, Australia. we have ever seen. We never tire of seeing them again and again. you can enjoy the adventure of exploring nine show caves open to the public. area also offer adventure tours, picnic facilities and bush walking tracks. some 170 kilometers from Sydney. 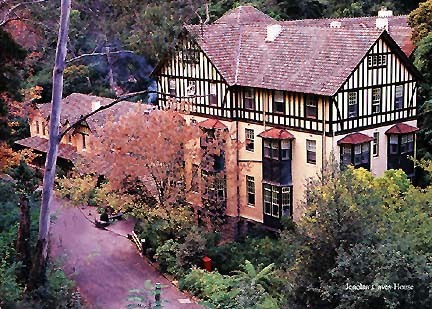 There are several places to stay but none as stately and beautiful as the Jenolan Caves House. which has a delightful old world charm. there is a feeling of going back in time. 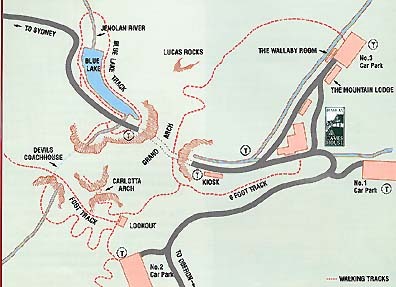 the Jenolan Caves and the Jenolan Caves House. 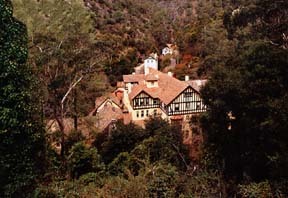 and Jenolan Caves House beyond. 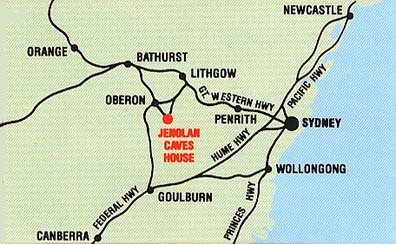 There are 22 major caves in the Jenolan system, nine of which are open to the public - the Chifley Cave, Imperial Cave, Jubilee Cave, Lucas Cave, River Cave, Pool of Cerberus Cave, Temple of Baal Cave, Orient Cave, and Ribbon Cave. With the exception of two or three that are only open several times a month, the others are open every day. Each cave offers a different array of unique formations and chambers making it a must to visit as many caves as you can. This is why we recommend a stay of 3-7 days to take advantage of the wonders of the Jenolan Caves and other wonderful attractions in the area. While you are here, why not come with us now on an excursion into the wonders of each of the nine commercially visited caves as well a peek at the "adventure cave" known as the Elder Cave. there is plenty of room for every one. the links below and we will be on our way.